I learned of earthen plasters right around the turn of the century. I fell in love with the beauty of a plaster I had created out of necessity, which sparkled at night under lamp light. Though my heart was heavy then, my spirit was soothed. Knowing I had created this beautiful thing myself was so empowering. Did I mention the beauty? I carried the sensation like a treasure. In retrospect, I guess the simplicity reminded me of the time I had spent in Nepal, from 1989-91. I was only ten, but I still vividly remember how these people, who’s infants’ lives sometimes depended only on hydration through salt-sugar-water, were the happiest people I had ever seen. Their eyes shone with — something joyful. Simplicity = happy. Happy = beautiful life. These are the equations I took away from that country. After that first experience with earthen plaster — beauty made from a little sand from the arroyo, clay from the land, broken car window glass that was just in the way — I sensed that simple beauty could be had in anybody’s dwelling. It was so easy, and everyone deserves to feel deeply comforted, especially in their own home. 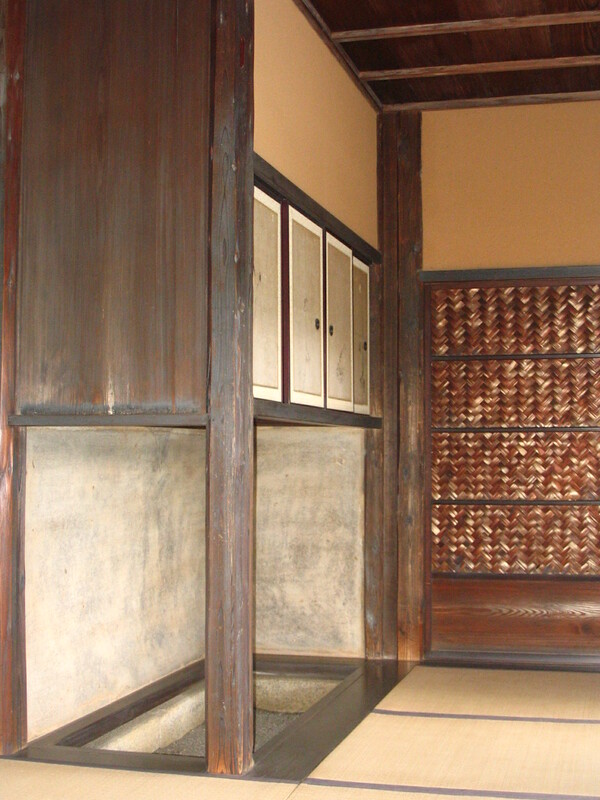 Although I returned to university to graduate in Japanese Language and Literature, my main interest lied in absorbing everything I could about this way of building which I learned was called “natural building” — using natural and/or recycled materials as the bulk of a structure’s building materials, and most often using clay-based plasters as wall finishes. Speaking the language helped me meet people, who introduced me to people, who gave me opportunities to learn about their craft of earthen plastering. Within minutes of talking to a generational plasterer for the first time, I learned multiple things that natural builder friends back in the US would have been amazed to hear, one of which was that the Japanese ferment their clay-straw plasters up to two years before using it. Whaaat?!!! We would never think of that here — today, building anything demands results dangerously fast. Not to say that all earthen plasters take long to prepare — they don’t. But that bit of information, and why they do it, is fascinating and useful. And within all of that, there is much to be applied for beautiful earthen plaster making around the world. After three years of teaching English, I was on a mission to find somewhere to learn continually with just clay — not cement-based finishes, which, along with vinyl siding, paint, and wall paper, are the bread and butter of most building finishers in Japan today. My search led me to Kyoto, the mother ship of all things traditional in Japan. There, the Kyoto Plasterer’s Guild runs a school which, unlike other plasterer guilds’ schools, teaches using clay plasters. They are proud of their tradition, and proud of working in the birthplace of the tea house, which demands earthen finishes. In Kyoto there are enough cultural treasures and World Heritage Sites that are required to keep their structures maintained using traditional methods that there are a (very) few crews that specialize in these skills, and work solely with the materials of the past — earthen materials. I was extremely fortunate to join one of these crews, Shikkui Asahara, as an apprentice, after having completed the guild’s six month course. I did not learn nearly enough. You can learn why here, and see why I created the Japanese Earthen Plaster Exchange. Please check out my blog to keep up with me! If you have any questions, or any ideas on exchange, I am happily available.